I'm so, so excited to share these bars with you guys! I called them Bliss Bars because I needed to express how good they really are. The best part is, they're good for you, too! 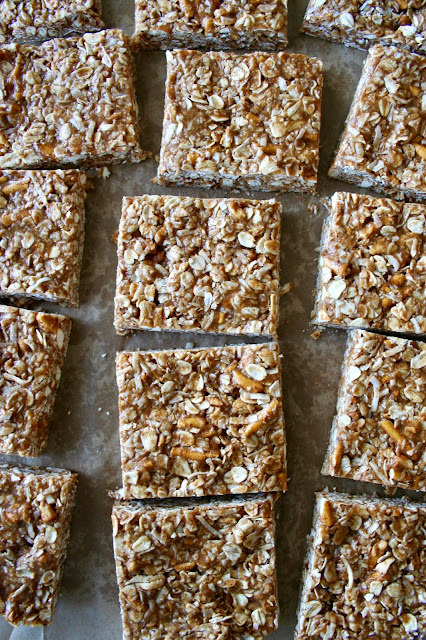 These bars are full of good-for-you ingredients and are only sweetened with honey. And believe me, once you try them, you won't be able to stop eating them. 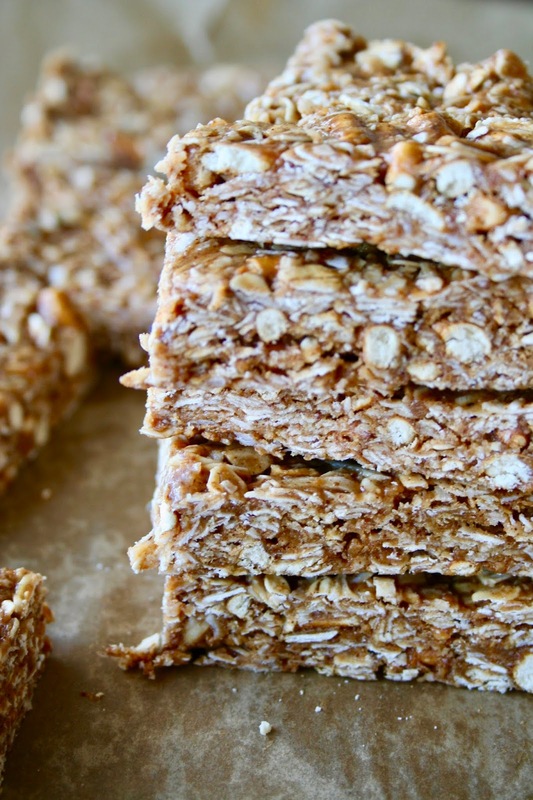 There is something so irresistible about sweet and salty snacks and these bars are no exception. They are chewy, crunchy and taste like heaven. I just can't say enough! 1. Combine all dry ingredients in a large mixing bowl. 2. In a small saucepan over medium low heat, whisk together almond butter, honey and coconut oil until smooth. Remove from heat. 3. Pour honey mixture over the dry ingredients and stir until well combined. 4. 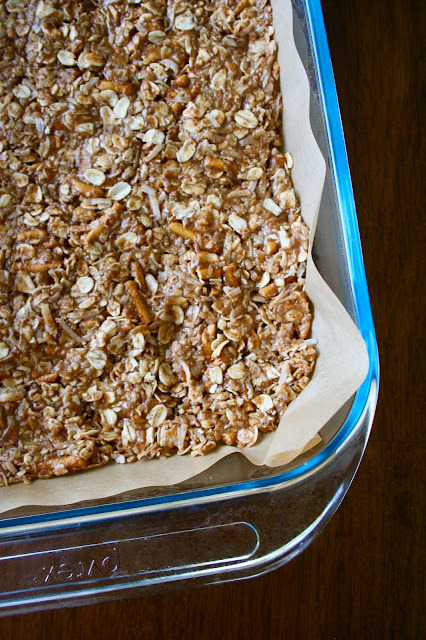 Line a 9x13-inch baking dish with parchment paper. (Sprinkle some water underneath the parchment paper to get it to stick down.) Press mixture evenly into pan. 5. Place in the refrigerator or freezer for 30 minutes to set. 6. Remove from freezer and gently cut into bars. 7. Store in the refrigerator for up to one week.